Interior Size: 1657 sq. ft. Excellent opportunity to live in South O! 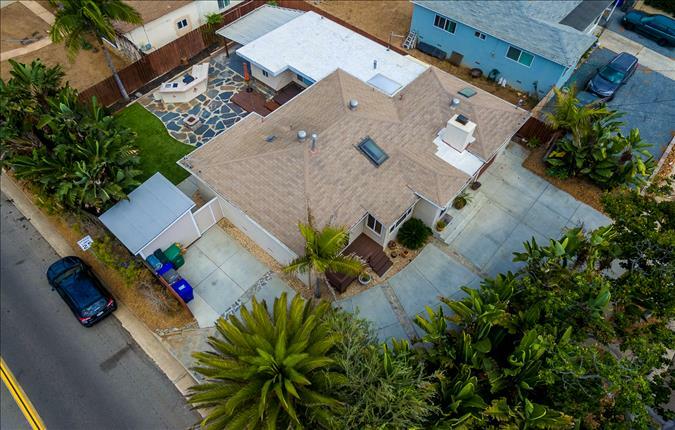 This beautifully upgraded home is currently set up as 2 units with separate outdoor spaces and entrances! Looking for an awesome AirBNB or in law suite? Can also be used as a single family home! Large backyard with built in BBQ, fire pit, jacuzzi and even outdoor washer for those sandy beach towels! Tons of upgrades including granite countertops in both kitchens, skylights, upgraded windows, flooring, lighting, doors, hardware, outlets, and on and on and on! Private, tropical backyard, great for summer parties. Low maintenance turf. Includes large shed for extra storage. 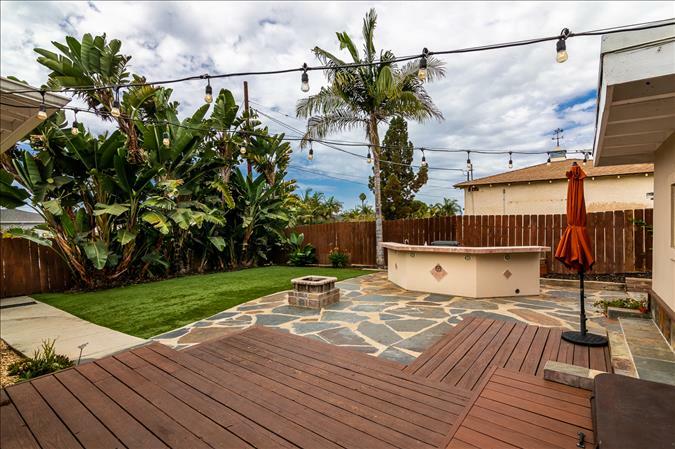 Backyard features built-in BBQ, fire pit, and a deck with built-in jacuzzi. 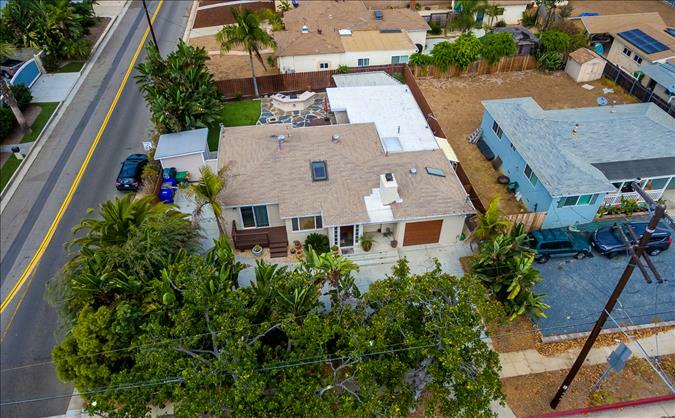 Located close to the beach and South Oceanside. 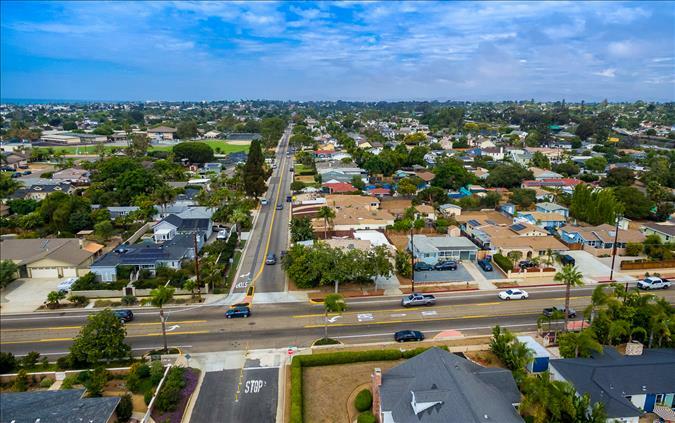 Awesome corner lot, quick freeway access, minutes to amazing breweries, restaurants and shops! Private backyard with large shed for extra storage. 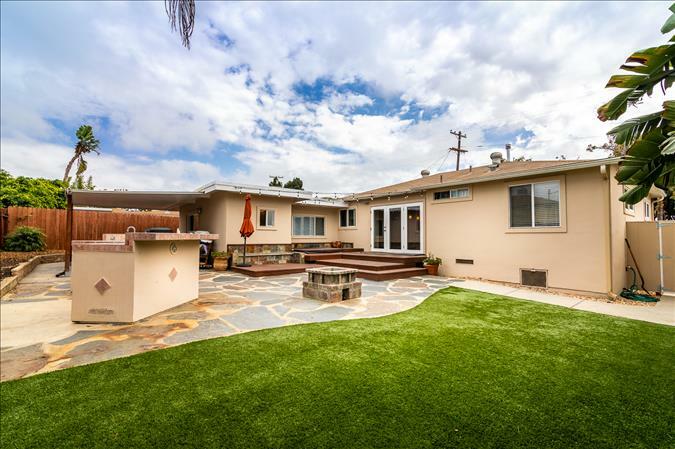 Enjoy backyard built in jacuzzi on deck, and low maintenance turf backyard. Built in BBQ is great for summer parties. NO HOA fees. Convenient circular driveway.